Come get inspired! Our Holiday shop is filled with everything you need for a bright and festive winter season. 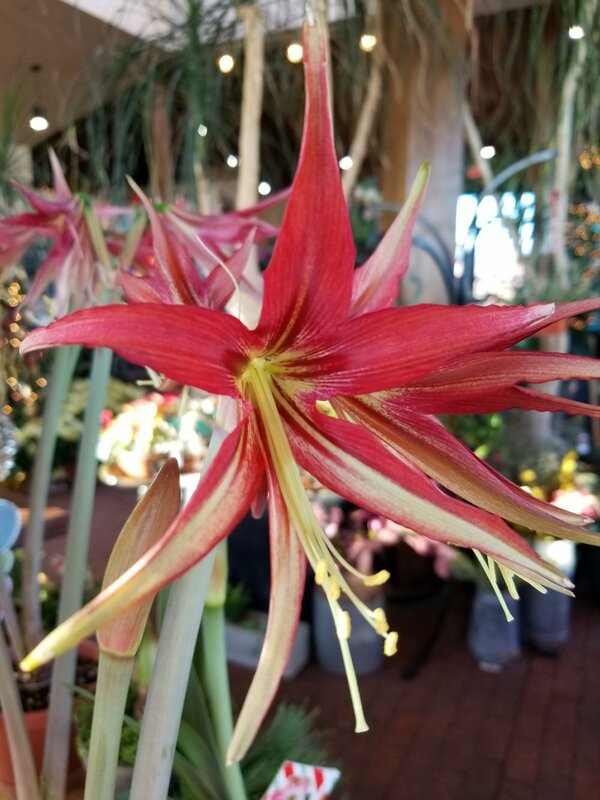 We stock many specialty poinsettias, amaryllis, Christmas cactus & paperwhite bulbs. You can also find fresh garland & wreaths. Want to use them year after year? We also have artificials that can pass for the real thing! We carefully select hand blown ornaments & glassware, and offer many original gifts. And of course we have everything for the hard to shop for gardener in your life. Ask us for our gardener gift guide and check them off your list! Need it delivered? No problem. Holiday cheer delivered right to your door. Remember to pre-book your holiday centerpieces. We have fresh cut greens and unique seasonal flowers ready to adorn your holiday table.